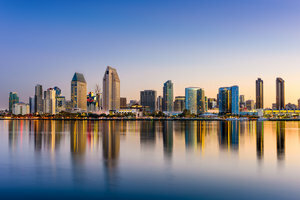 Things To Do In San Diego, CA! Located in the Kearny Mesa community of San Diego, our hotel is the ideal place to stay for guests looking to explore all the exciting things to do around San Diego, CA. Our friendly and knowledgeable staff are always around to help you plan your San Diego adventure. There are tons of things to do around San Diego, CA year-round. 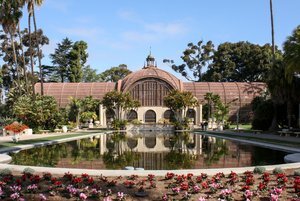 Make sure to take a stroll through Balboa Park on your way to the San Diego Zoo, one of the most notable zoos in the world. Guests traveling with kids can also take a trip to SeaWorld San Diego, located just 15 minutes away from the hotel. 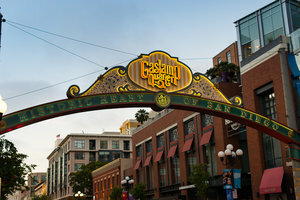 Enjoy a night on the town at San Diego’s famous Gaslamp District! Less than 20 minutes from the Ramada Hotel & Conference Center, spend an evening wandering through the area’s 16-square blocks of Victorian-era buildings and modern architecture, while wining and dining in some of the city’s best restaurants and bars. 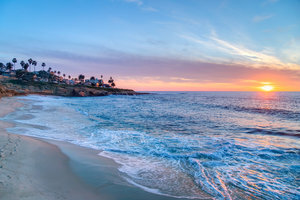 A trip to San Diego isn’t complete without a visit to one of the city’s stunning beaches. Our area features 17 miles of coastline, so there are a ton of beautiful beaches to visit during your stay in our charming Southern California coastal city. 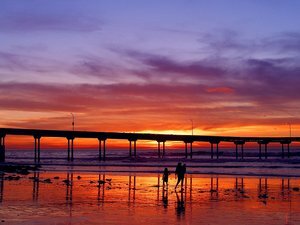 Take in city views at Coronado Beach, or enjoy a family day at Pacific Beach. A number of beaches, like Ocean Beach, are known to be pet-friendly. Make sure you bring your surfboard along for the ride! San Diego has some of the best waves in Southern California. Book your stay at the Ramada Hotel & Conference Center San Diego North today to enjoy proximity to all the best things to do around San Diego, CA!